In the major leagues, wood baseball bats are all that the players use. Traditionalists love them, but for the vast majority of youth who play baseball it’s the metal bats that are the most popular. Aluminum bats first came out in the 1970s. These were simple metal copies of wood bats. What was immediately obvious to everyone is that aluminum bats were much more durable than wood bats. Since the players didn’t have to replace bats as often, the new aluminum bats were just cheaper to own. Then it soon became apparent that the aluminum bat improved batting performance significantly too. The metal bats had bigger barrels but were lighter by 5 ounces on average. What Does That Mean For the Hitter? So Why is Major League Baseball Sticking with Wood Bats? Why Wooden Bats for Younger Players? What About Removing Dents and Storage? That means hitters can swing much faster and there’s a greater chance of making contact. There was also the “trampoline effect” of wood baseball bats, because the thin walls of the bat flex upon contact. All these improvements meant that players on average were able to hit the ball a bit farther and a bit faster. After the NCAA allowed for the use of aluminum bats, baseball teams that used the new bats saw the team batting averages go up by 20 points. The improvements for home runs were astonishing—the number of home runs doubled. With its -7.5 drop, this is a very light wood bat that’s great for youth players. This ash wood bat ranges from 27 inches (19.5 ounces) to 31 inches (23.5 ounces). The barrel measures 2.25 inches while the handle is 7/8 of an inch. The ultra-thin tac-grip sure offers a nice feel. People have commented that this bat is perfect for a youth wood bat league. Many of the Marucci wood bats are made for adults, but this particular one is among the more affordable. This low price is because these bats didn’t quite pass the meticulous Marucci standards. However, it’s not because these bats are structurally flawed. It’s because the flaws are generally cosmetic. These bats come from other Marucci designs and models, and the one you get will be picked at random. However, all of these bats come with a -3 drop. They’ve also been bone-rubbed to make the wood harder and to close the pores. At the very least, they make for great practice bats for adults. 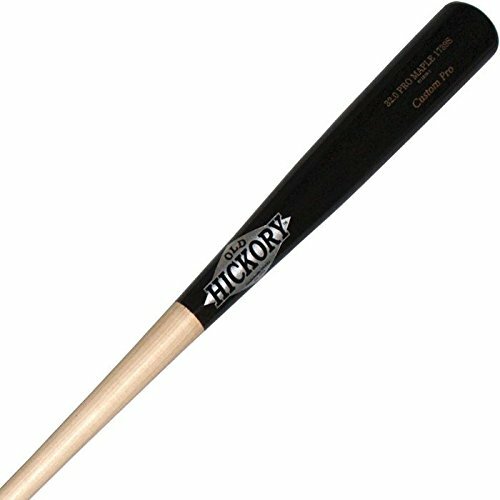 Old Hickory and Baseball Express bring you a rock maple bat at a lower price. The 1739S is available with a black barrel and an unfinished handle, in maple and with a cupped end. Old Hickory's 1739S model has a 2 7/16" barrel and a 29/32" handle. This uses rock maple wood, with a black barrel finish, while the handle is red oak. The drop ranges from -3 to an even heavier -2, though the weight is distributed evenly so you get better balance. It’s barrel size is medium and it comes with a short taper. These bats are all premium-quality, and they’re the same sort the company sends to professional players. This is an affordable USSSA-certified bat that makes for an excellent practice bat for kids. It’s made of Adirondack ash and the barrel is medium-sized (less than 2.5 inches). The handle is an inch in diameter and the knob is laser-engraved. It’s brown in color, though it becomes covered in white ball marks. Now this is a very expensive bat, but then again they use high quality wood composite material for the bat. It’s been designed as a combination of the top 5 most popular hardwood bats in the majors. This is perhaps the most durable bat you can find, so that means you won’t have to keep buying bats every so often. That price point may actually be a bargain in the long run. You can pick between a standard knob and a flared knob. Each one has a -3 drop, and it’s BBCOR-certified. It’s approved for use in NCAA and NFHS leagues. 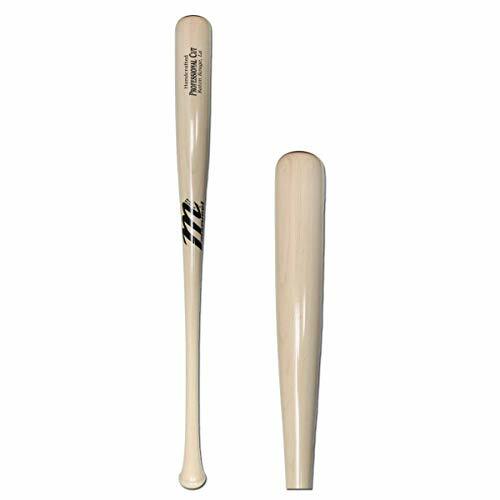 This bat comes with a maximum diameter of 2.505 inches, while the sweet spot is at 2.473 inches. It even comes with a 4-month warranty, though you may also want to consider a 12-month extended warranty at an extra cost. This is another expensive bat, but it’s not really meant for beginners. It’s designed for those who already have lots of experience in using wooden baseball bats. Still, this is a youth bat that meets the rules of most youth leagues. 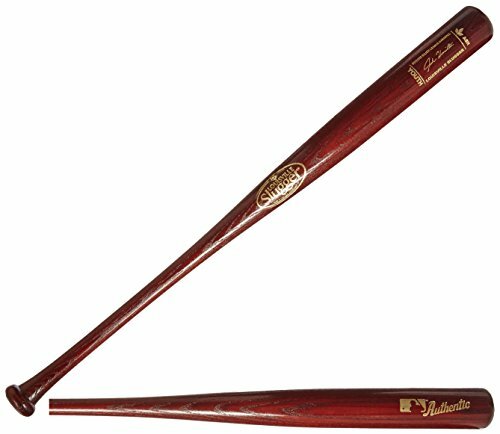 This bat has been meticulously handcrafted from top of the line maple wood. It features a large barrel, a thin handle, and a traditional knob. It’s also been bone-rubbed extensively for maximum wood density. The barrel measures 2.25 inches in diameter, with a drop of about -5. The bat is well-balanced, and the pro-cupped end improves the distribution of the weight. Again you have an affordable bat for adults, as this comes with a -3 drop. The barrel is medium-sized while the handle measures 15/16 of an inch. It also features the ultra-thin tac-grip for a better feel. You can choose from 31 inches (28 ounces) to 34 inches (31 ounces. There are even options for 32.5 and 33.5 inches. These may be affordable, so they’re great for practice. This is another of those Marucci wood bats that didn’t quite meet the cosmetic standards of the company. They recommends this bat for batting practice and cage work. But many players who have used this marvel at its performance, and they’ve done well in real games with it. This comes with a -3 drop and an even balance. The maple wood has been crafted and finished by hand, and it has been extensively bone-rubbed too. It also comes with a pro-cupped end. Every player knows that Louisville Slugger wood bats come with a proud and distinguished history, but that doesn’t mean that these bats are always expensive. This particular youth bat is very affordable. It’s made with ash and it comes with a Hornsby finish. It comes with a cupped end. The ash is very flexible, and the sweet spot is more forgiving. Louisville Slugger's adult wood bats are pulled from their original production line for some minor flaw that will not affect the bat's performance. These small production errors mean deep savings on superior bats ideal for practice, batting cages or even games. This is another affordable bat, and this time it has a -3 drop. Despite the low price, it’s quite durable and offers excellent performance. This is best for practice as the price indicates, but many find it good enough for real games. 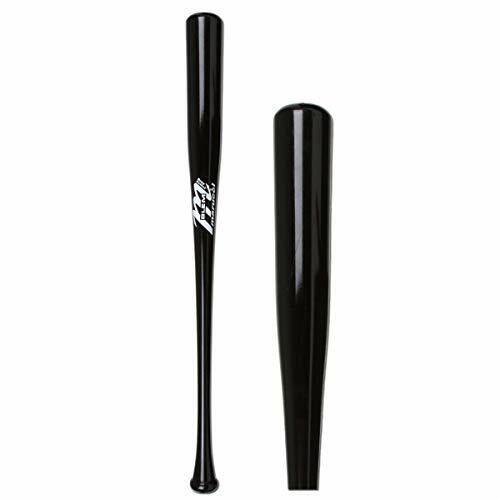 You can get this best-selling bat in either natural or black color. If you’re still looking for something different you might want to check out Victus bats which come in a close 11th place. The major leagues started with wood baseball bats because obviously that’s what they only had at the time. Aluminum bats only came out during the 1970s, so there has already been a long history of performance records in the majors. Thus, they insisted on the continued use of wooden baseball bats so that these records can be preserved. A record can only be broken because a player was better, and not because his bat was technologically better. In addition, the feel of a baseball game would change with aluminum and composite bats. Hand these things over to these skilled baseball players, and offensive production would be raised tremendously. Games would become a high scoring affair (and take even longer), and no-hitters would become a thing of the past. There’s also the matter of safety. Major leaguers are already very good, but put a metal bat in their hands and they will become too good. The baseball would come out of the bat so fast that lots of other people would be at risk. Fans sitting along the sidelines can get hit and the injuries can be more serious. Players on the defense will also be more at risk. This is particularly true for pitchers, who re essentially helpless during their follow through. The infielders on the corners, especially at 3B, will also have too short a time to react to the line drives going their way. There are many reasons why it may still be a good idea to buy a wooden bat for a young player in Little League or in the NCAA. Of course, you have to use a wood bat if a particular youth baseball league mandates the use of wood baseball bats. But you should still consider getting a wooden baseball bat even if it’s not absolutely necessary for your league. Sweet spot. Using a wood bat will definitely teach you all about hitting the sweet spot. You will know the difference in the feel and the sound between a good and a bad hit. Saying no to bad pitches. Swinging at a bad pitch can really sting your hands, and pain is a very good motivator. You will learn to avoid bad pitches because of this potential risk. Better training. The use of wooden bats will help you become a better hitter more quickly, because you’re not too reliant on your bat’s capabilities. You instead learn to improve your own capabilities as a player. Some players also just use the wood bats for practice while they switch to metal bats for an actual game. This allows them to get better when they train while they maximize their offense when it matters. Ease of transition to wood. Just about every college player has a hard time when they make the switch to wood bats when they turn pro. But you can get a head start if you’re already used to it while you’re younger. Sentimental reasons. Baseball is still a sentimental game, and some players forge a greater sense of solidarity with the heroes of yesteryear when they use wood bats too. Also, some kids may like to use the wood bats that their current idols are plying in the MLB. Just like with metal bats, you also have several options as to the type of wood you can have for your bat. Most of the wood baseball bats for sale are made with these woods. Ash. This is the traditional and “old school” bat that still has many users today. Part of it is that it’s generally more affordable than other types of wood. But it also has some sort of trampoline effect too. The bat wood compresses so that it acts like a springboard for the baseball. This makes it seem like it has a huge sweet spot. However, this effect is also its main drawback. Eventually, this constant compression will wear out the bat faster. Maple. Now about 70% of the bats used by pros these days are made of maple. They’ve become extremely popular after Barry Bonds demonstrated in 2001 how you can use them to get lots of home runs. It’s a very hard type of wood, and it’s about 20% harder than ash. That makes it a bouncier surface for a baseball. The grains of this wood are tighter, so they’re not as obvious as in ash. This also makes the maple bat much more durable, as they’re less likely to flake or splinter. Birch. This wood represents the middle ground between ash and maple. Some say it offers the best of both worlds. It offers more flex than maple, but it’s more durable than ash. It’s a low density wood, so you’re able to swing larger bats. The wood also becomes harder the more you use it. Beech. This is a very recent addition to wood bat options. Environmentalists will like beech because it grows very quickly, so it’s more of a renewable resource. There’s not much real game data about its use yet. But players in the minor leagues say that it’s quite good. It offers the flex that’s similar to what you get from birch and ash bats. But it’s also as durable as birch and maple. Composite wood. These bats use their own special blends of different wood types to emphasize certain characteristics. You just need to confirm first that it’s legal for your league, although it is allowed for most BESR Ball (Exit Speed Ratio) leagues such as Little League. If all those options weren’t enough you can always use bamboo baseball bats. What kind of hitter you are, and the goal you have in mind when you’re at the plate, will determine the best size for you. Large. If you’re a power hitter and you’re in need of an extra-base hit, you’ll want a large barrel. However, you will need lots of strength for a large barrel, and the swing speed is generally slower. Small. This is the preference of contact hitters who are content with making contact and with singles. A small barrel means a lighter weight, which you can then control more ably and swing faster. However, there’s not much power and the hitting surface is smaller. Still, a bat with a smaller barrel is generally denser in a structural sense, so they’re more durable. Medium. This is the compromise bat between the small and large barrel size options. It’s a good balance of control and power. The first rule of choosing the right baseball handle is to see if you’re comfortable with it when you’re holding the bat with your hands. Still, here are some tips. Thin handle. This keeps the weight of the bat mostly on the barrel, so the barrel goes through the strike zone at a faster speed. That means your swings generate more power. However, it’s not as easy to control and the bat is more likely to break. Thick handle. This one offers you more control over your bat. It makes the wood bat more durable too. Standard. This is the typical rounded base at the tip of the handle. It’s designed to prevent the bat from slipping off your hands. Flared. There are many versions of this, with large and slight flares. Even a slight flare can make the handle feel more comfy. However, with a larger flare you may get enough weight to counterbalance the weight of the barrel. This makes for a balanced bat that’s easier to control. Cone. This is a design meant to be especially comfy for the hands. It’s meant to give your hands a break, especially when they’re bruised. If tend to mishit balls a lot so your hands keep getting stung, this may be the knob design you’re looking for. The drop weight is the difference between the length of the bat in inches and its weight in ounces. So a drop -8 bat that’s 27 inches long weighs 19 ounces. Picking the right drop weight starts with what your league allows, and then you choose according to what feels comfortable for you to swing. The general rule here is that stronger players who want power should go for heavier bats. 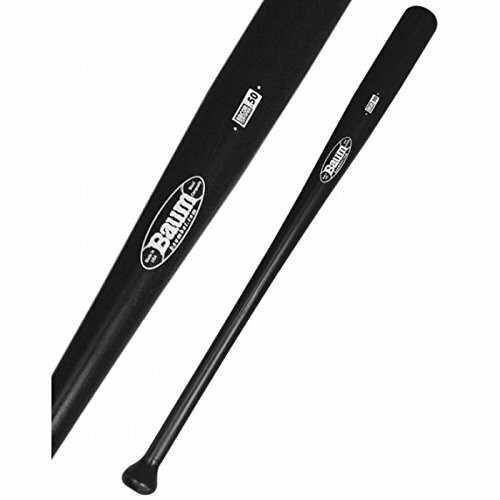 These will have baseballs going farther, and these heavier bats are generally more durable. However, the lighter bats are easier to swing and to control. Some people don’t put any grip on their wood bat handles at all, as they wear gloves. Others, however, may have some other reasons to apply or put on custom tape for their handles. Pine tar. This is the traditional grip you apply on the handle so you get that tacky feeling that keeps the bat secure in your hands. It may come on liquid form and you use it with a rosin bag, but this is very messy. The less messy alternative to this is pine tar sticks, which are also easier to keep in your equipment bag. Learn more about pine tar here. Synthetic lizard skins. These are grips you typically see on metal bats, and they can be used on wooden bats too. They’re not messy at all, and you have lots of color and design options. These give you a good grip, as they were first designed for motorbike handles. Athletic tape. While it doesn’t really improve the grip because the feel is still slippery, it does help customize the handle to fit your preferences perfectly. The tape can make the handle just a little bit thicker. You can even add some tape to the knob for extra weight to balance the barrel weight. Wood bats tend to shatter, unlike their metal counterparts. But you can boost the likelihood that your bat can last for longer with these tips. Hit with the label up or down. This is often a part of the instructions that come with the wood bat you bought. That’s because bat makers generally place the label where the bat is the weakest. So when the label is up, you’re hitting the baseball with the part of the bat that’s strongest. Keep the bat clean with rubbing alcohol. The alcohol will remove any dirt on the wood that can reduce its performance. By keeping it clean, you ensure that you always have a secure grip on the handle and a clean barrel for the baseball. Remove the dents. They get on the wood whenever you make contact with the baseball. You can remove those bad guys by using another wood practice bat to rub out the dents. You can also use a piece of bone. Don’t throw your bats. This just strains your bat unnecessarily. Store it with the barrel down and the handle up. This vertical position keeps it from getting stepped on. Also, with the barrel down you don’t put on too much weight on the handle. Store it in a cool dry place. Keep it away from overly warm places such as your car trunk. Don’t let it get wet either. If it does get wet, dry it with soft cloth as soon as possible and then rub the bat down with linseed oil. You don’t really have to be as careful as Ichiro when it comes to your baseball bat. So you don’t have to do as Ichiro does and keep your wood bat in a humidor. But just following the simple maintenance tips we’ve listed will definitely help with the longevity of your wood baseball bats. Easton Baseball Bats Reviews - Which One Is The Best?